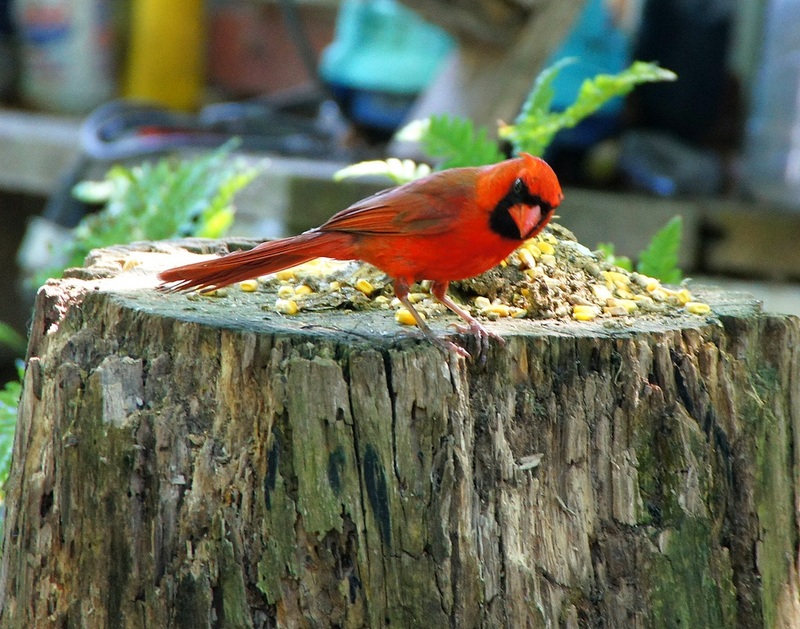 What a great shot of Mr. Cardinal! He certainly does look like he is bowing his head! Love this shot! Great idea to put out food on a stump...my squirrels & chipmunks would be very happy! He looks like he has spied a worm or something down below. Nice shot! Lovely capture of the cardinal! Have a great weekend. Cool shot! Love the stump as the feeder. I am in awe of this thankful bird. What a great attitude he has. Nice shot of the cardinal. I do wish we had the species here. Everyone loves a vibrant Cardinal! There are more than norm at our house this year.